888 launched All American Poker Network with Avenue Capital Growth in 2013. 888 Holdings aquired the remainder of the All-American Poker Network (AAPN), which positions 888 Poker for rapid growth in the expanding U.S. gambling industry. 888 Holdings paid $28 million for the remaining 53% of AAPN. The All American Poker Network (paywall) launched in 2013 as a joint venture between Avenue OLG Entertainment LLC and 888 Holdings. In the 5 years since, Avenue OLG Entertainment owned a majority share in AAPN. The purpose of the joint venture was to give 888 Holdings a foothold in New Jersey’s online gambling industry. The launch of AAPN allowed 888poker and 888casino to start with the November 2013 rollout of legal online poker and casinos in New Jersey. Previously, Avenue OLG Entertainment had a controlling interest in the All American Poker network. 888 CEO Itai Frieberger further confirmed the acquisition means “full commercial flexibility for the group”. With the purchase, 888 no longer has a business partner with which to consult on every decision. While this buyout was 5 years in the making, events in the past year now require 888 Holdings to have more flexibility in a quickly emerging new gaming section. The May 2018 repeal of a sports betting ban by the US Supreme Court opened the door for legal sportsbooks in dozens of US states. Already, 8 US states have legal sports betting, while another dozen consider the possibility. After the Supreme Court decision, many international gaming operators have signed partnership deals with US casino companies or otherwise invested in the US gaming industry. Paddy Power-Betfair, GVC Holdings, and William Hill each have led the way for gaming companies more associated with the United Kingdom. Through a partnership with Caesars Interactive and WSOP.com, 888poker and 888casino have been established in New Jersey, Delaware, and Nevada for 5 years now. 888 also has a deal with Mount Airy Casino in Pennsylvania. Despite those deals, little has been reported about 888sports, another longtime brand owned by 888 Holdings. With full control of its online sportsbook, casino, and poker sites, 888 Holdings can offer land-based casino partners a full range of gaming services and software. The deal might clear the way for 888 to expand into other states where Caesars Entertainment owns casinos and sportsbooks, or it might allow 888 to go its own way. One advantage many potential partners will like is 888sport’s live in-play sports betting apps. 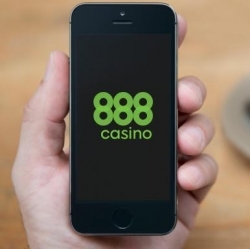 Because 888 operates in many gaming jurisdictions around the world, it already has well-tested and fully developed mobile sports betting apps for Android and iOS. US partners can license the software instead of developing their own. Avenue OLG Entertainment is a subsidiary of Avenue Capital Group, which is owned by Marc Lasry. Marc Lasry is a hedge fund manager and former prospective business partner of President Donald Trump. Back in October 2011, months before the US Department of Justice issued an opinion which lifted a ban on online poker and online casinos, Marc Lasry and Donald Trump discussed a US-facing online poker site. At the time, Ivanka Trump said a US online poker site bearing the ‘Trump’ name would be “the most powerful one in this space” — with “this space” presumably meaning the United States. Nothing came of the proposed partnership, since online poker was illegal in the United States at the time. After New Jersey and Nevada — two jurisdictions Trump had operated in — legalized online gamling, the two sides appeared to drop the plan for a Trump online cardroom. Back in October, 888 Holdings became the first online gambling company to sign a partnership deal with an NFL team. 888 announced a deal with the New York Jets, the AFC franchise in the New York City area. The New York Jets weathered 3 losing seasons in the past 4 campaigns, but have hope rookie QB Sam Darnold will lead the team to a new era of winning. The Baltimore Ravens signed a partnership deal with land-based casino operator Caesars Entertainment, which owns the Horseshoe Baltimore Casino. Caesars also signed a partnership with the Las Vegas Stadium, which will be the home of the Las Vegas Raiders in 2020 and beyond. Earlier, the Dallas Cowboys signed a partnership deal with the WinStar World Casino, a tribal casino in Thackerville, Oklahoma about an hour north of Dallas.